Sailing event will raise money for Challenged Sailors of San Diego. 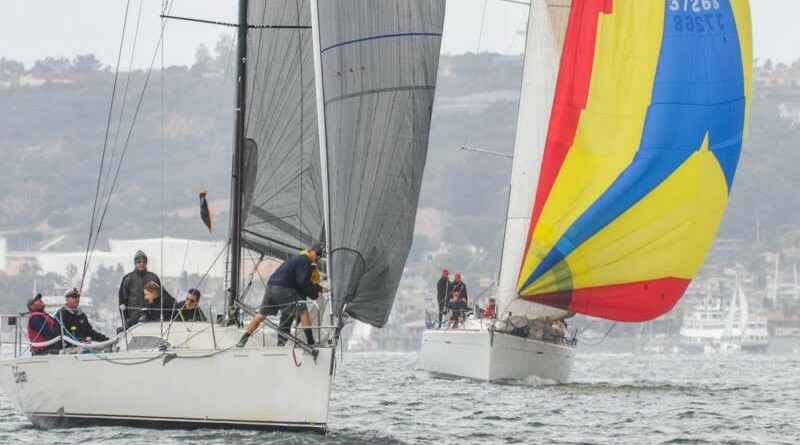 SAN DIEGO — Point Loma Yacht Club hosts its 2018 Charity Bay Race on Aug. 18; the regatta doubles as an open house. Competitive sailing begins at noon; all participants are encouraged to stick around after the race to attend the open house party and participate in the charity raffle and membership drive. Money would be raised through a raffle and silent action. Point Loma YC members are invited to offer donations or solicit one from anyone they know (personally or professionally). The regatta itself would feature three classes: A (non-spinnaker), B (spinnaker) and C (Martin 16). Racing begins at noon and generally takes place on San Diego Bay; the regatta’s starting area will be near the center of Harbor Island. Refer to NOAA Chart #18733 for navigation. Class A boats will start first, followed by Classes B and C, respectively. The racing committee will be on hand until 4 p.m. (unless all yachts finish earlier). A post-race party and trophy presentation will take place poolside at Point Loma YC and Marina Cortez immediately after all racing is done. The entry fee is $20 for boats 35 feet and up. Checks are payable to Point Loma YC. Point Loma YC is located at 1880 Harbor Island Drive in San Diego. Sign up for the event at regattanetwork.com/event/17191 or contact the club directly via email at info@pointlomayachtclub.org. San Diego’s Southwestern Yacht Club also hosts a Charity Bay Race regatta, which supports ElderHelp of San Diego.